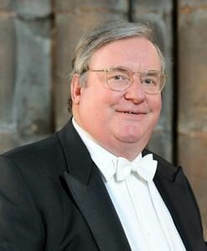 The Lydian Singers is directed by its founder, John Naylor, who was a chorister at Durham and a scholar at Rossall School. Following a choral scholarship at St John's College, Cambridge John became a member of the choir at the Chapel Royal of St Peter ad Vincula, the Louis Halsey Singers and the Monteverdi Choir, and was a founder member of the chorus of the Academy of St Martin in the Fields. John has sung in the cathedral choirs of Christ Church Oxford and Carlisle, and from time to time, can still be spotted on the back row of Chester Cathedral choir. He is also Music Director of the Nantwich Choral Society and the Open University Chapel Choir. Simon Russell was born in Liverpool. He studied organ at Birkenhead School with Timothy Lawford and then at Cambridge as Organ Scholar at St. Catharines’s College, where he continued studies with Gillian Weir and the late Peter Le Huray. 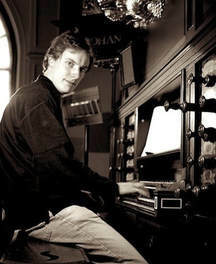 After Cambridge he was appointed Assistant Organist at Chester Cathedral but decided after a while to keep music as a hobby and gain fortune from computer keyboards. 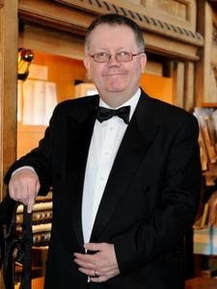 He was firstly accompanist and then Musical Director of the Hoylake Choral Society from 1982 until he moved, in 2000, to Nantwich where he has been the Organist at St Mary’s Parish Church since 2006. He has also accompanied the Nantwich Singers on many occasions and directed them when their normal Musical Director is absent. He is also in demand as an organ, piano and music theory tutor and has many Associated Board and other pupil distinctions and diploma successes to his credit. Since May 2014 he has been a full-time professional freelance musician and as well as being accompanist to Nantwich Choral Society he is also accompanist to the Jubilate Chamber Choir based in Cheltenham. He performs organ recitals in churches, abbeys and cathedrals around the country. He was appointed accompanist to the Lydian Singers in 2017. William Nicholson began his musical education as a chorister in Hexham Abbey Choir where organ lessons led to full-time study at the Royal Northern College of Music. He subsequently became organ scholar at Chester Cathedral and is currently organist St John the Divine in Lambeth and Assistant to the Minor Canons of Westminster Abbey. William has been accompanist to many choirs, including the Philharmonic Choir of Manchester, the Halton Singers and the Lydian Singers. He also sings with the London Symphony Chorus and the Rinaldo Consort.